The burden of Hepatitis is huge in sub-Saharan Africa. With the number of infected persons growing so rapidly it is feared that this silent epidemic may be capable of wrecking the entire sub-Saharan Africa. Unfortunately, majority of those infected do not know that they have the disease. As such they do not seek help and they continue to spread the viruses to their love ones and friends most of the times unknowingly. The few people who know that they are infected do not know the options available to them. Also, many persons in Africa have not taken measures to protect themselves against hepatitis because they do not know how transmission occurs especially in the context of persons living in Africa or of African origin. 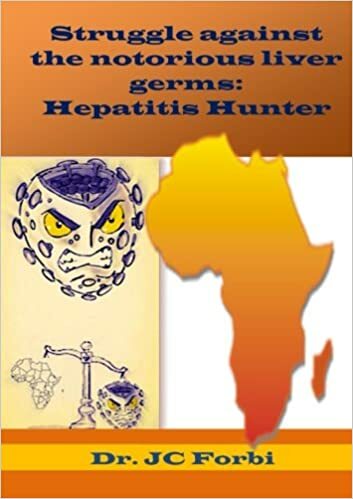 Struggle against the notorious liver germs was written in the era of advanced treatment and cure by a leading world-class expert in the field to highlight some local practices and issues associated with the transmission of hepatitis B and C viruses in such a way that people in Africa can relate to. It is written for the common man on the streets anywhere in Africa and for those involved in one way or the other in policy and social issues that play directly on the provision of vaccination, testing, awareness and care of patients with infectious diseases. It will be a good idea if you share this book with your family and friends so they too will understand more about the different aspects and health issues associated with hepatitis.